According to Nielsen’s social media TV ratings, last night’s WWE Payback PPV ranked #1 for the night. Payback had 243,000 interactions on Twitter with 43,000 unique authors, up from the 181,000 interactions and 31,000 authors that Roadblock had. Payback also had 275,000 Facebook interactions with 144,000 unique authors. These numbers are up from the 143,000 interactions and 77,000 unique authors for WWE Roadblock, which was the last time a WWE event made Nielsen’s TV ratings list. 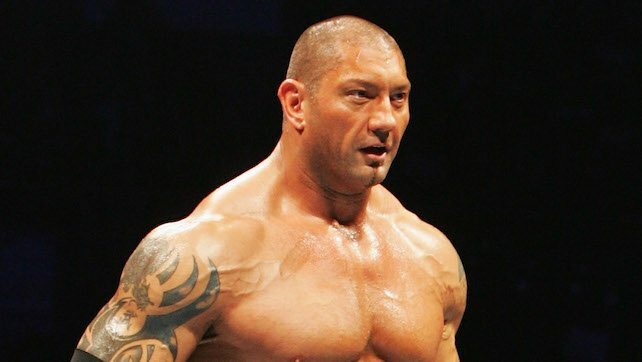 Former WWE Champion Dave “Bautista” Batista will be Chris Jericho’s guest on Friday’s episode of “Talk is Jericho.” New WWE Raw Women’s Champion Alexa Bliss will be Jericho’s guest next week. In related news, WWE Network is adding a new collection on Batista to coincide with the release of Marvel’s “Guardians of the Galaxy Vol. 2”.